The infant-thingy is designed to use with all current and former Clek Foonf and Fllo models, to accommodate a child from 5 lb + up. The infant-thingy comes in Shadow GREENGUARD Select Certified Crypton Super Fabric that provides permanent protection against stains, moisture and odor-causing bacteria; and are free of brominated and chlorinated flame retardants. Works great with the Fllo. Allows you to use the car seat sooner with a newborn. I was so happy we decided to go ahead and purchase a fllo with infant insert. It made it possible for us to use the seat with our 6lb newborn. It was very easy to install. I am expecting my first baby girl and I've really dived right into everything "girly." 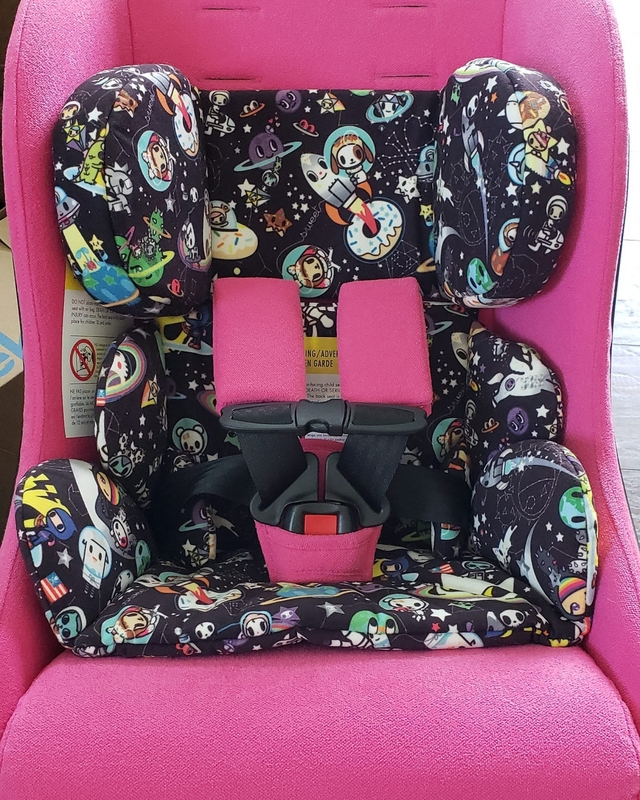 I bought the Clek Foonf in Flamingo and couldn't be more impressed with the sturdiness of the seat and the brilliant PINK for my baby girl. 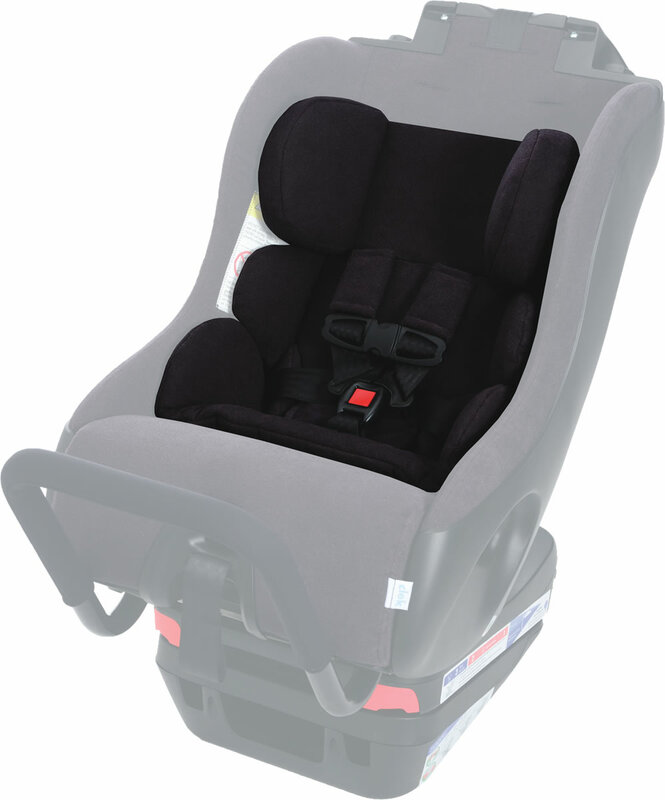 As you know, the Foonf & Flo require an infant insert, aka the infant thinggy, to use it from birth. I was torn between flamingo on Flamingo, Unicorn Disco, and Tokidoki Space. I decided to go with this pattern because I like the idea of bringing my baby girl home in a spacey print more than a unicorn print. This is a true gender-neutral pattern that will coordinate well with almost every color they keep in regular stock. Pros-The Infant Thinggy allows you to use the Foonf from birth. The longer you are able to use the seat, the more value you gain! -It was extremely easy to install. Cons- The material is a bit felt like. It seems like it will be warm in the summer. Super easy to install. I loved being able to use this car seat from the beginning instead of using an infant carrier. Great for a newborn all the way up to a year+. It was great not to have to buy a seat for a new baby, only to replace it some months later. We LOVE our Clek Foonf and this allowed us to use the car seat from the beginning. Both of my kids hated the infant style bucket car seats. With my first, this product wasn't out yet so we had to wait 'till my son was big enough to move him into the Foonf. I think this product was released shortly after. With my second, we bought it right away and avoided many months of unhappy car rides. The Foonf's are amazing car seats and this product allows you to use it from birth! The only reason this item didn't get 5 stars was the price. Other than that, we were pleased with it. It allowed us to use the car seat with our little one from birth, which was very convenient. It is very comfortable and easy to install. Would recommmend. The Clek Infant thingy allowed me to move my son into our Clek Fllo around 4 months old. I loved how easy it is to use and my son loved his bigger more comfy seat. Happy baby means happy travels. I just wished it came with the clek fllo but other than that, it fits well on the fllo. I like that I have to take the headrest off of the fllo when usong this insert which helps me see better past the seat since I'm short lol. Can't wait to use it on new baby coming in Sept. I love the popping colors of this tokidoki pattern! 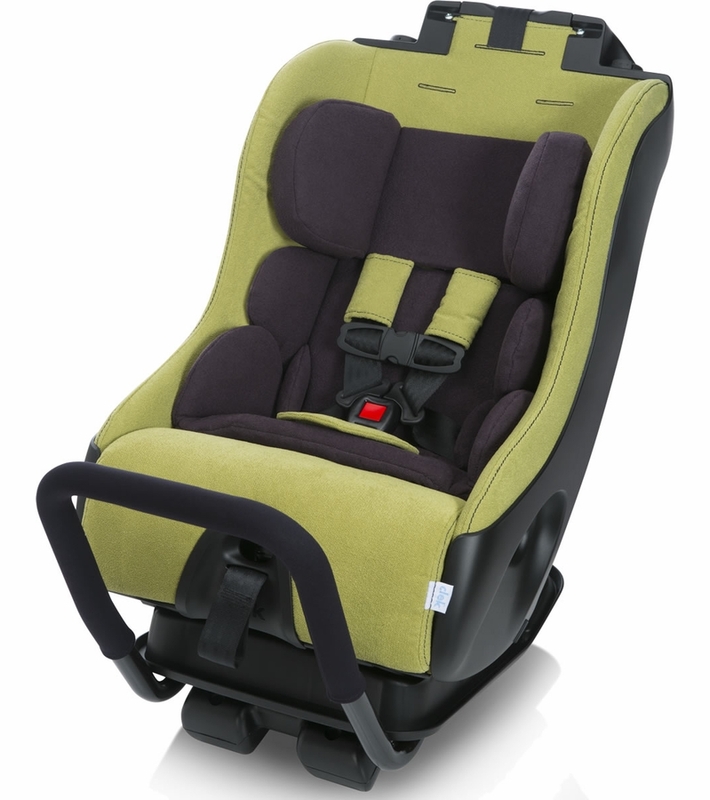 I am very excited that CLek now has a way for their car seats to be used from birth. The insert was a little stiffer than I thought it would be but fit perfectly in the seat and made it so even my daughter's doll could be buckled in. I am very glad to be skipping the bucket seat and put my baby into something so safe. Super easy to use with our Clek foonf and the insert looks great. It is not a bulk head rest. Feels and looks comfortable. Hopefully our baby soon to be here will love it too! My favorite thing about this insert is that you don't have to use the big bulky headrest when you use the infant insert head rest which makes rear facing on the airplane much easier. I am glad I purchased the infant thingy to use with my clek fllo. It has allowed me to switch my son from the bucket style infant seat to the clek which is easier on his reflux.